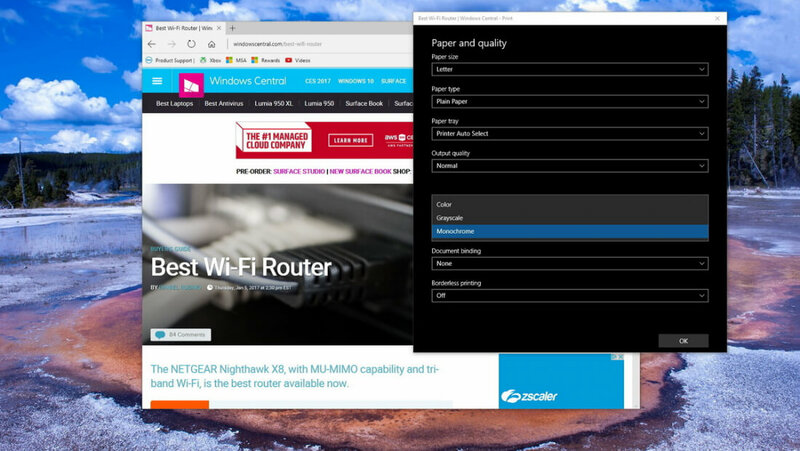 If you use Microsoft Edge, you might want to be mindful when you are working with and printing PDFs. Several users have reported that when trying to print PDFs what is printed does not match the original. In a Microsoft Edge issue report (#11896203) from May 4, a user complained that the Edge browser was displaying his PDF correctly, but when he tried to print, the numbers get jumbled. He provided two PDFs to Microsoft as an example. The first was his original which looks like a chart with each field clearly labeled in numerical order (0123456). The second is a PDF he produced by using "Print to PDF." It is the same chart, but the numbers are all incorrect (1144477). While the renumbering does not look random, there is no discernible pattern to the numbering (see animation below). Additionally, the labels in the chart also shifted positions, so the bug is not only affecting enumeration but content as well. This problem could prove quite annoying, to say the least. Bleeping Computer even posits that it could be dangerous. While this statement is a bit overblown since most professionals would double check their numbers, it can still be inefficient and costly. He also indicated that he was able to workaround the problem by using a Xerox copier. The issue has been assigned to Microsoft techs, and they are currently working on a fix. In the meantime, it might be prudent to use Acrobat Reader or another non-Microsoft browser if you work with PDFs. A bug in M$ Edge? Surprising. I thought M$ Edge was the bug itself. DaveBG and Cal Jeffrey like this. Do a SAVE to disk and then you can pick any PDF tool of your choice. Raoul Duke and Cal Jeffrey like this. Better then: use any other browser :O I tried not so long ago Edge and its performance was garbage with only 3 opened tabs. C'mon now, don't go for the low hanging fruit. You can do better than that! Like how amazing it is, that they even managed to screw up PDF printing with their browser, of all things! I'm no expert, but really now, just how old is the technology to print PDFs? How is it possible for M$ to get THAT wrong? Him and everyone else here. Well, I've learned here at Techspot, that, "if you want anything right, do it yourself"! With that thought in mind, here goes; "Edge isn't a bug, it's M$' new browser, now available in suppository". You mean that its not printing ads instead? WOW interesting. I bet it is sending all printed docs to Microsoft for ... you know telemetry purposes and so that they can fix this "bug"
"C'mon now, don't go for the low hanging fruit. You can do better than that!" I like that response. I'm getting on now son, I don't make unnecessary work for myself these days. If the fruit is within arm's reach, that's what I pluck. I no longer run to the garage to fetch the step ladder, I'll leave that for others to do then swipe their bounty. With age, wisdom (read sly or shrewd). Cal Jeffrey and Mr Dude like this. Mr Dude and Cal Jeffrey like this. I mean, what are the alternatives? From Apple? That'd be the day! Sure, they'd make lovely terminators, but the chances of one actually managing to navigate to my front door are slim. Or Linux. An open-source skynet is the best skynet, I say. You can even fork the project and make your own! I think Apple just release a Terminator, it's called Iphone 7, it terminates your bank account.